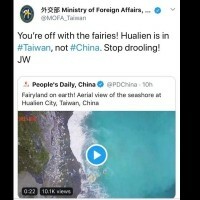 TAIPEI (Taiwan News) - China's bullying over Taiwan reaches beyond its borders, from conferences to a sport event that celebrates sexual and gender diversity, which, ironically, was once "silenced" on the authoritarian regime's highly-controlled Internet and social media earlier this year. The Gay Games 2018 is going to take place in Paris from August 4 to 12, and will welcome 650 teams from 91 countries. Taiwan is expected to send 18 teams to compete. 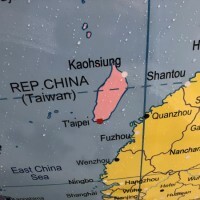 Just a few days ago, it was reported that China was maneuvering to ban the Taiwanese flag from the competition grounds, and today, the website has been found to refer to Taiwan only by the city name "Taipei," under the influence of China. 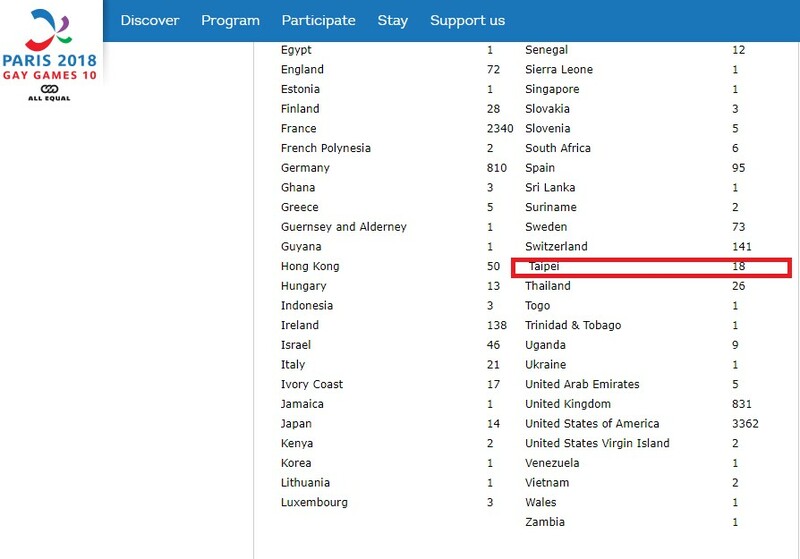 In a screenshot image taken on July 26 from the webpage that showcases the numbers of participating teams and the name of the countries they represent, the reference to Taiwan is missing, and is replaced by the city name of Taipei. The rest are sporting names of their countries. 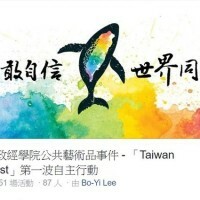 It is the second bullying incident in just a week in the field of sports, following the stripping of the city of Taichung's right to host the 2019 East Asian Youth Games under Beijing's influence. The East Asian Olympic Committee (EAOC) held a meeting upon the request of China on Tuesday morning during which committee members voted to rescind Taichung City's awarded status and right to act as host for the games. Taiwan has been lauded as Asia's most LGBT-friendly country, with several regulations underway to protect rights of the group, while China on the contrary discouraged or once banned homosexual content on the Internet and Sina Weibo, China's most popular microblogging site, earlier this year. 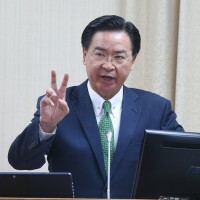 Taiwan Gay Sports and Taiwan Gay Development Movement Association President Yang Chih-chun (楊智群) told Apple Daily that he has faced "unprecedented" pressure following Monday's press conference, while he said in a statement that the teams representing Taiwan won't give up the games in any case and keep their heads up to demonstrate good sportsmanship.